The Govt. Of Gujarat has started an inititive of a finishing school with a view to help final year students to get their placement by sharpening their soft skills. As a part of this, 50 hour module has to be implemented in a year. For this, an apply tab is created which you can register thgough your placement credential login on www.placement.vgecg.ac.in. The fee for the course is only Rs. 50/-. Classes by expert faculties will be commencing from 20th July 2018 mostly. As entries are restricted to a batch size of 40 each, we have to select total of 160 students. The entries are on first come first serve basis. I therefore request those students who are interested for the finishing school to register before 17th July, 2018. Details of batch and schedule of classes will be forwarded to the selected students as soon as entries closed. All interested students are requested to register on following link. Mega Job Fair(Rozgar Mela) on 16th February 2018 from 9.30 AMonwards in K K Shastri College ,Khokhra ,Mani Nagar (East),Ahmedabad Gujarat. Register & Give a small Online Talent Test at following link. TCS will conduct Touchstone test 2017 on 11-Nov-2017. Last Date for Registeration on TCS portal is : 02-Nov-2017. The placement for Maxim Integrated is scheduled on 13/10/2017 for IT and CE students as under. Campus Placement Drive is started for 2018 pass out students from 12/09/2017. Login to your TPO portal account & apply for the campus drive for company of your interest. The placement for Apara Analyticals is scheduled on 22/08/2017 for batch-2017 pass out Instrumentation and Control Engineering students as under. Apara Analyticals dealing with Installations and commissioning is looking for Fresh graduates in Instrumentation and Control Engg. 2017 pass outs. All those who are interested need to register for the drive using credential on placement portal at www.placement.vgecg.ac.in. Also request all the students to share their CV to jaiminprajapati310@gmail.com in a day or two. The drive date will be this month end. Please find selected list of students for the Finishing School. The classes for the same begins from 01/08/2017 Tuesday from 10.30 to 1.00 p.m. at Auditorium at A Block. The finishing school scheduled to commence from 27/07/2017 has been postponed due to heavy rain. The two batches will commence from 01/08/2017 for which the schedule of classes will be updated soon on placement portal. The selected students will be shared their batch timings through email. As due to less registrations, the classes of finishing school which were scheduled from 06th July, 2017 are postponed by a week. The date for registration has been extended by a 2 more days. Hence all interested students shall login and apply for the finishing school if interested. We develop and manage HSBC’s technology systems and infrastructure in partnership with the global business and functions. We create, implement and support software, IT services and processes. We work across a range of technology platforms and development disciplines from mainframe to digital. Within HSBC we are transforming how technology is developed, delivered and maintained. As discussed, we wish to conduct a campus for the role of Trainee Software Engineer, this drive will be region wise(Pool campus) specifically for women under the initiative of HSBC - Women in IT. Software Engineering which include Engineering Analysis and Design, Development, Infrastructure Design and Operations, IT Security, Business Analyst, Deployment. Striker – (Profile 2) – Pay package : 7,00,000 p.a - wherein we are looking for Graduates who can work upon, mainstream technology like Web-technologies, mainframe, AS400,etc. Expected joining dates : July 2017. • Computer Labs for assessments. • Waiting area for documentation. Campus placement for Instrumentation and Control Engineering in Process Control Company Ltd. There is requirment from Process Control Company ( Authorized chanel Partner of Siemens). Those students are intrested in Technical sales of Siemes instruments ( Pressure, flow, temp, etc.) They only apply. Campus Visit for IC Engg. - Masibus Automation And Instrumentation Pvt. Ltd. Tentative date of visit is 5th April, Time and venue will be updated. All are requested to go though company profile and those who are intrested only they should fill up the details on placement portal. If not intrested then do not fill up details. Thank you for your interest shown on the placement portal. Based on the time stamp, following students have been shortlisted for the finishing school which starts from 20/03/2017. The rest of the students will be accomodated as soon as trainers will be made available by KCG. I therefore request all of the selected students to report to their dept. T&P coordinator on 20/03/2017 Monday at 8.30 am. Daily the class will be conducted for 4 hours and a total of 10 days. The selected students list is available with your concerned T&P coordinator. Wishing all of you a best of luck. In order to help final year passing out students, T&P cell has organized a session on 22/03/2017 at 10.30 am at A block Auditorium. All interested students are requested to register from their credential on T&P portal on or before 16/03/2017. As the registration is restricted only to 150 students, we will allow only 150 students on first come first serve basis. Go through the visit created for all batch-17 pass out students. Login using your credentia and if interested, apply for the drive. Last date to apply : 02/03/2017 time 5.00 pm. Go through the attachment for JD. ગુજરાત રાજ્યના શિક્ષણ વિભાગ દ્વારા સરકારી ઈજનેરી કોલેજો ખાતે અંતિમ વર્ષમાં અભ્યાસ કરતાં વિદ્યાર્થીઓને રોજગારી મેળવવા માટે મદદરૂપ થવાના પ્રયાસ તરીકે ફીનીશીંગ સ્કૂલની યોજના અમલમાં મૂકવામાં આવેલ છે. આ સ્કૂલનો હેતુ વિદ્યાર્થીઓનો સર્વાંગી વિકાસ થાય તે માટે વિવિધ તાલીમ વર્ગોનું આયોજન સંસ્થા કક્ષાએ કરવાનું ઠરાવવામાં આવેલ છે. આ યોજના માત્ર અંતિમ વર્ષના વિદ્યાર્થીઓ પૂરતી જ સીમિત છે. આ પ્રયાસ થકી એપ્રિલ-2017 પહેલા કુલ 50 કલાકના તાલીમ વર્ગ રૂ. ૫૦/- ના ટોકન દરે વીજીઇસી ખાતે શરૂ કરવામાં આવનાર છે. આ તાલીમ માટે રસ ધરાવતા વિદ્યાર્થીઓ વહેલા તે પહેલાના ધોરણે પ્રવેશ મેળવી શકશે. 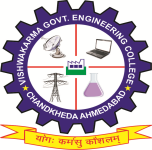 તાલીમ દરમ્યાન Knowledge Consortium Of Gujarat (KCG) દ્વારા પ્રશિક્ષિત ટ્રેનરની પસંદગી કરવામાં આવેલ છે. જેમના દ્વારા આ તાલીમ આપવામાં આવનાર છે. તાલીમ વર્ગની પ્રથમ બેચ માર્ચ-૨૦૧૭ના બીજા સપ્તાહથી શરૂ થનાર છે. T&P cell VGEC is organizing the seminar for opportunities abroad as under. Venue : A Block, VGEC. All interested students are informed to register themsevles on below link. This is to bring to your notice that DEpt. of Employment and Training, Govt. Of Gujarat is going to organize "Rojgar Mela" as different places shown in attachment. All of you are asked to join if interested.